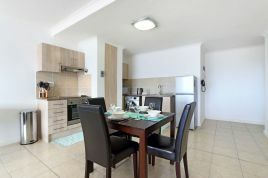 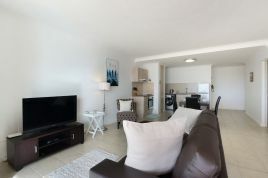 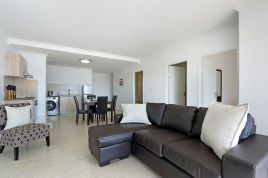 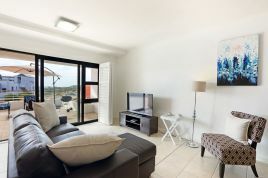 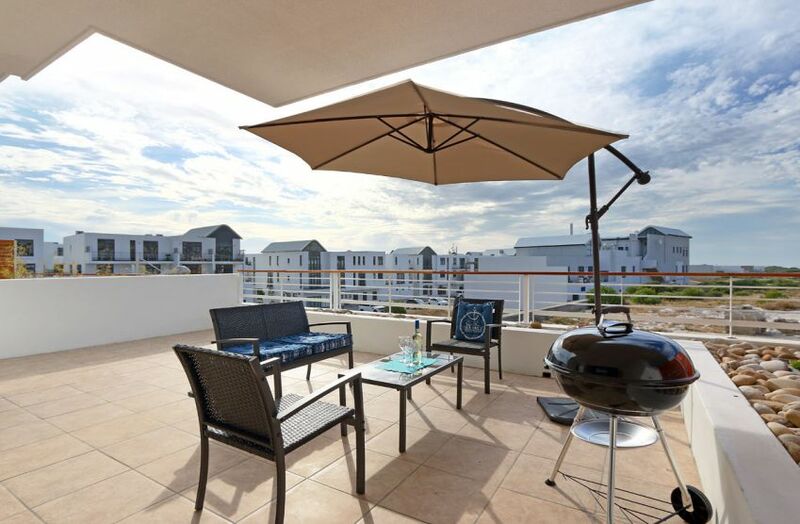 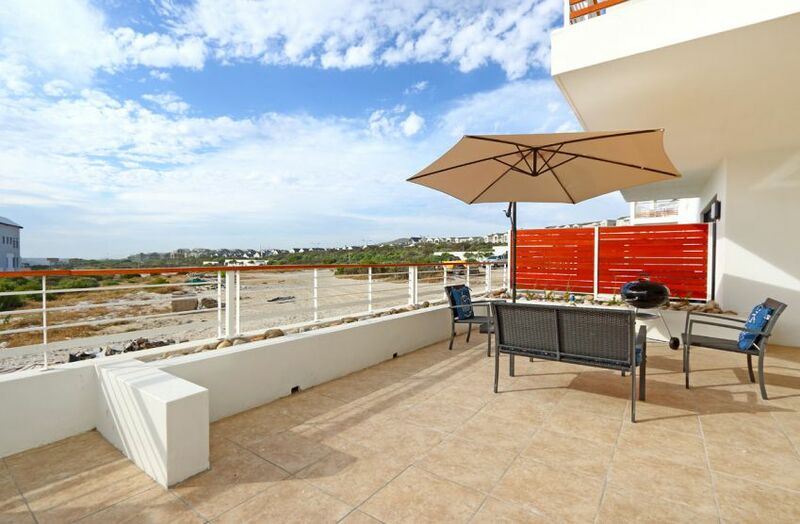 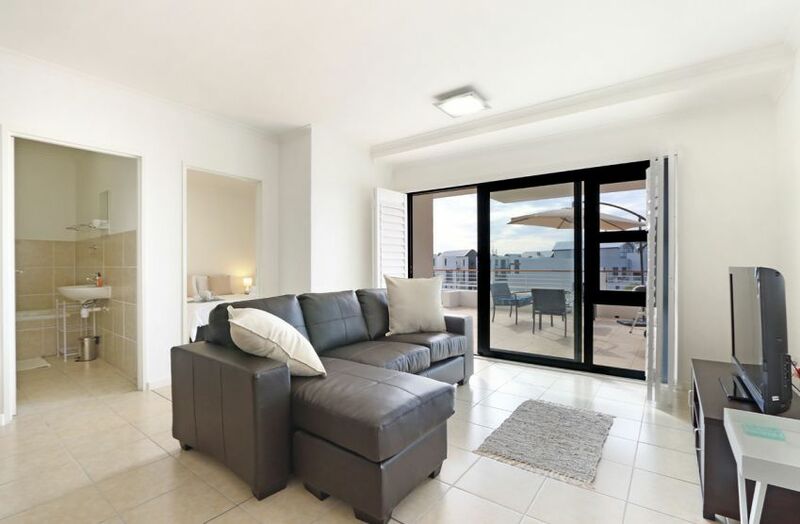 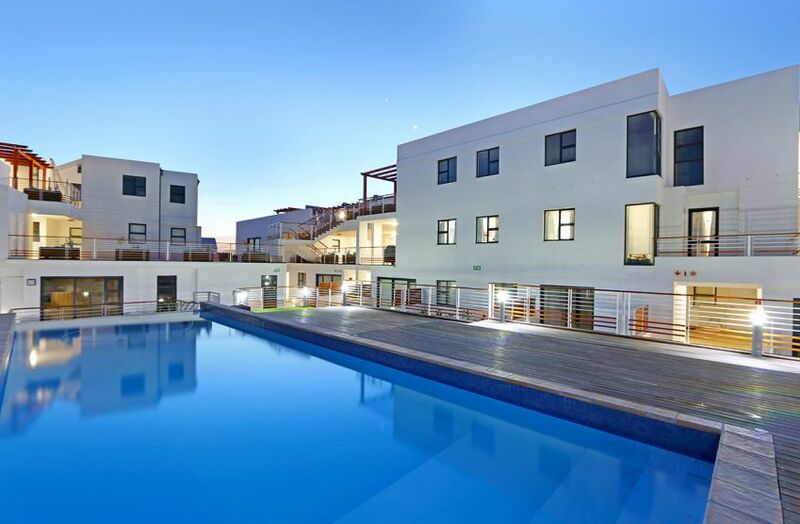 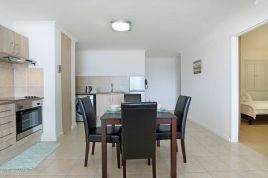 Spend a 3-night stay or more in the charming 2-bedroom apartment of Azure 30, situated in a gorgeous complex, close to the famous Eden on the Bay complex in Big Bay and the beach. 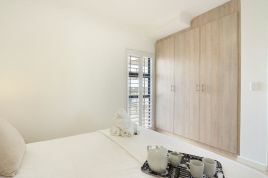 Comprising of all the necessary features for a private, self-catering stay, take this opportunity to break away from the hustle and bustle of daily life. 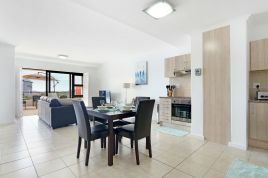 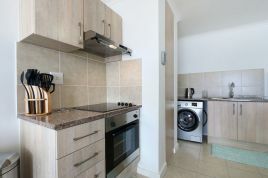 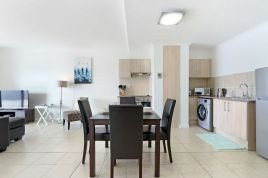 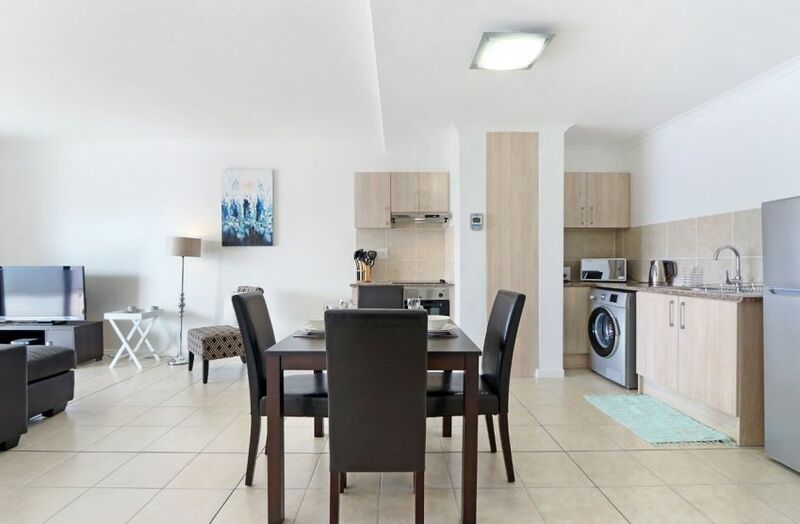 The main interior of the unit is open plan and stylishly done in a contemporary manner, consisting of the kitchen, which leads to the lounge. 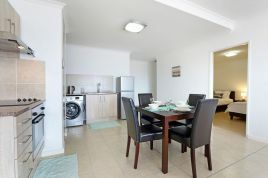 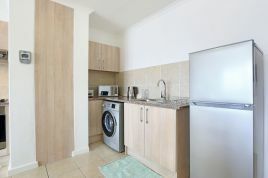 The fully equipped kitchen, includes all the necessary features, such as a microwave, fridge and freezer, oven and hob, kettle and more. 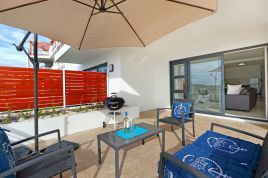 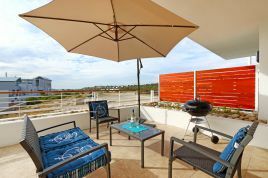 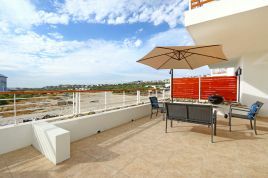 The lounge, with an L-shaped couch, faces a flat-screen TV and leads out to a balcony, which includes a barbecue and view across this trendy complex. 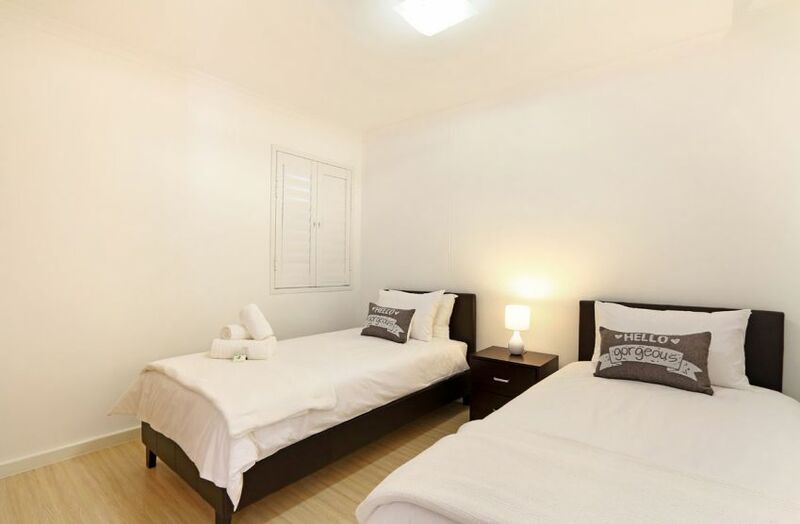 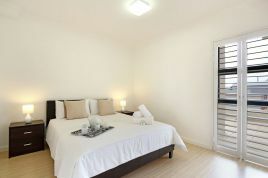 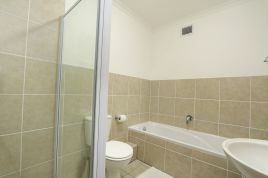 The main bedroom has a queen-size bed and the second bedroom has 2 single beds and access to the bathroom, which comprises of a bath and shower. 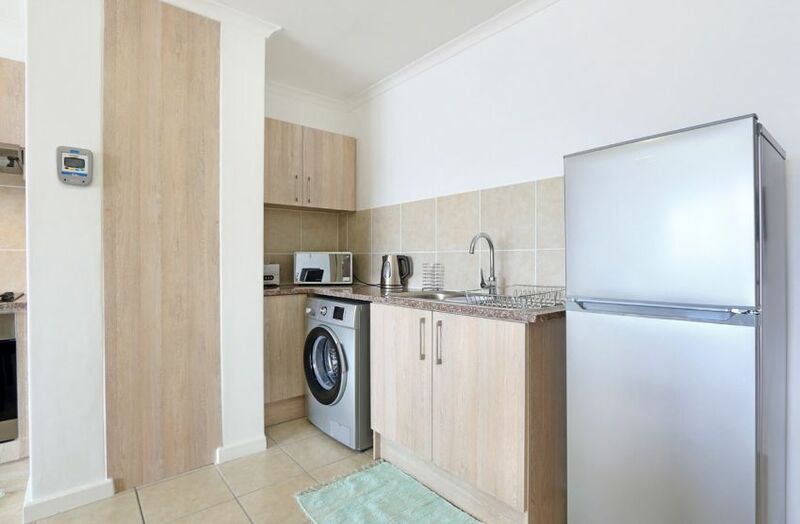 Laundry facilities are available at Lavender Laundromat in the Eden on the Bay complex. This beachfront complex additionally provides easy access to an entertainment district, with enticing restaurants, such as Moyo, Captains Kitchen and Izabellas. Eden on the Bay furthermore immediately accesses the Big Bay beach, where you can take a stroll and watch as surfers and kite surfers amaze you with their skills on the waves. 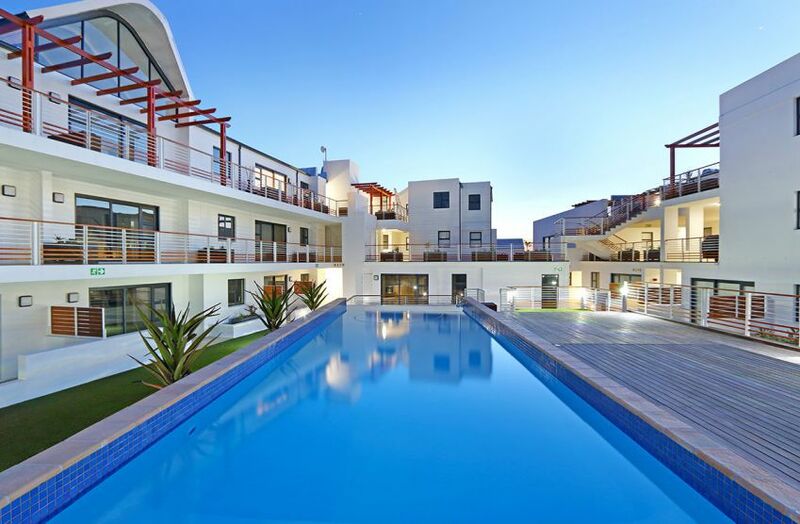 With a location in Big Bay, Bloubergstrand, guests have the opportunity to explore the surrounding areas attractions. 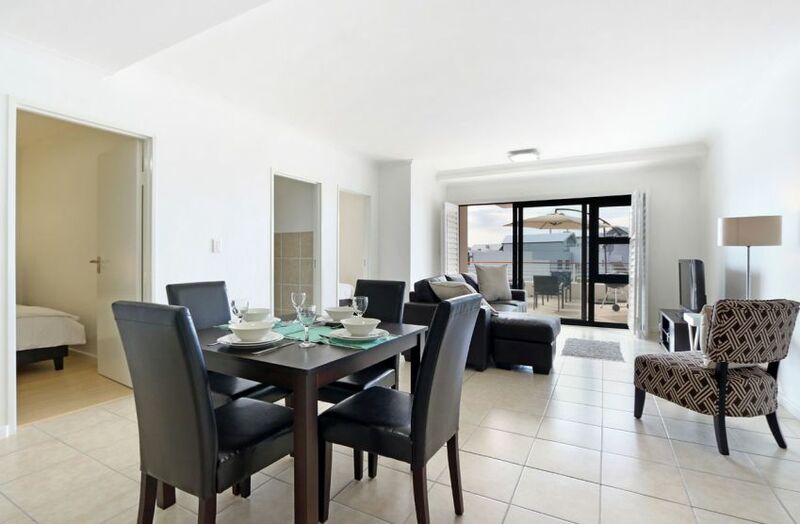 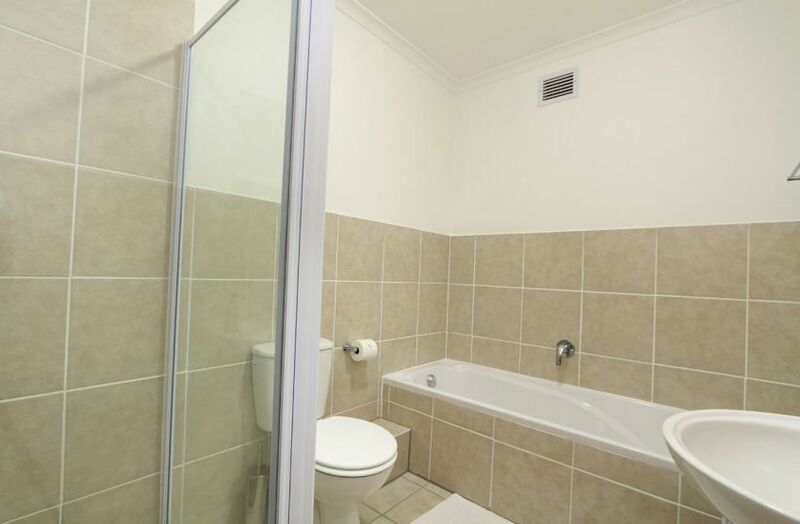 There is a convenient route to the busy Cape Town City Centre to the south as well as to the wonderful West Coast to the north, offering many quaint towns and breathtaking nature reserves.